Calling All Artists! Open Call at Fuchs Projects this Sunday! This Sunday Fuchs Projects, in conjunction with the Rema Hort Mann Foundation, will host an open call for artists who would like to participate in the foundation's upcoming fundraiser, Buy What You Love. From noon 'til 5PM artists and visitors can enjoy brunch, check out the current show at Fuchs, and submit work that might be included in the fundraiser on November 14th. This is a great opportunity to get some exposure for your work and help out a worthy cause! Buy What You Love is an event where the emphasis is on the artwork, rather than the artist. Each artist begins with the same sheet of paper and has the freedom to do anything they want- paint, cut, use it as a base of a sculpture- the sky's the limit! The foundation provides archival paper and art supplies (artists are encouraged to bring other supplies they'd need). Donations from both well-established and emerging artists are all exhibited anonymously and priced the same to entice visitors to buy something they like rather than base a work's value on a name. By leveling the playing field, Buy What You Love is an opportunity to purchase a work that you love and support the foundation. 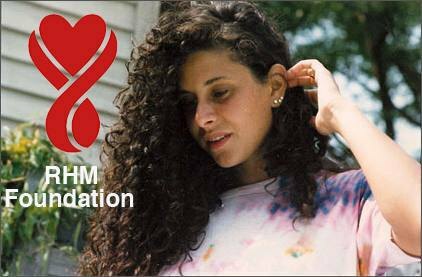 For almost twenty years, The RHM Foundation has worked to support emerging artists through their annual grant program. Each year they award $80,000 to eight artists. The foundation's two-fold mission works to both support artists and provide assistance to cancer victims and their families. If you would like to participate in the event, please email quang@rhmfoundation.org. Buy What You Love open call. This Sunday the 27th from 12 PM-5PM at Fuchs Projects, 56 Bogart.